What:Seattle screening of Ode to Muir. When:Friday, November 9th. Doors 7:30, Film 8:45 PM. 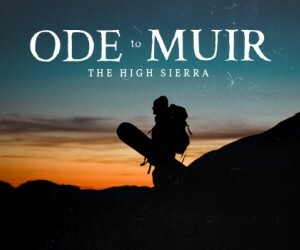 Details:Join us for a one-night only screening of Ode to Muir at The Collective in Seattle! Join Sturtevant's and The Collective at our showing of Ode To Muir presented by Teton Gravity Research. The Pre-Function room will have popcorn, beverages, and a cash beer bar. Bring your ID.